My sisters are here, and my littlest sister likes to bake stuff with me. 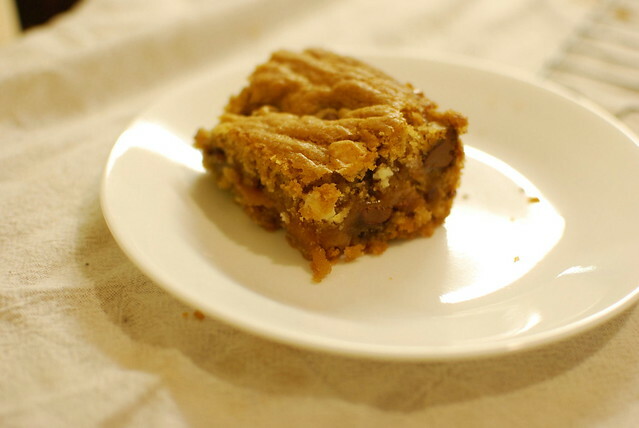 I was flipping through the things I've starred in google reader and came upon this recipe for salted caramel chocolate chip cookie bars by gourmet girl. Ok! Looks good! 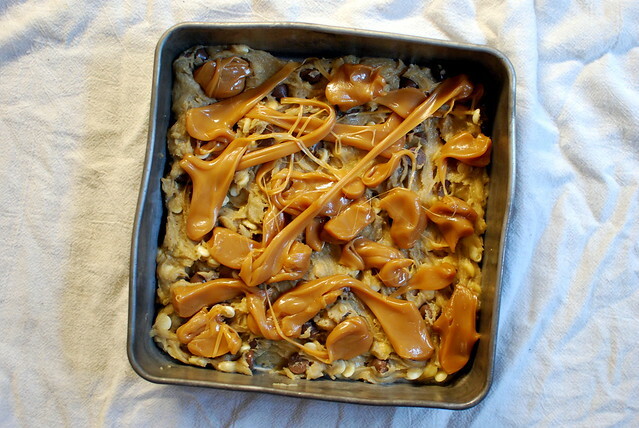 We used caramels I had bought and I tossed in white chocolate chips since we didn't have enough milk chocolate chips. So good, dudes. Have people coming over? Make this. I halved the recipe since the recipe was huge and there are only three or four of us eating these, but feel fee to double. Preheat the oven to 350 and grease an 8x8 pan. Beat together the flour mix, xanthan gum, salt and baking soda. In another bowl, beat together the butter and sugars. Stir in the eggs and vanilla, then the flour mix. Dump in the chocolate chips and stir. 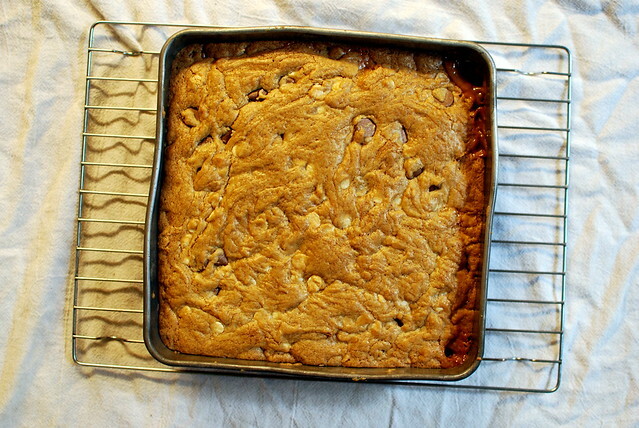 Spread half of the cookie mix on the bottom of the pan. 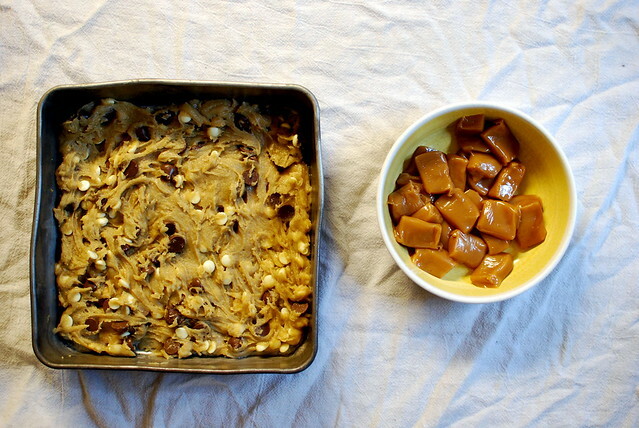 Spread out the caramels over the top, then scoop the rest of the dough on top, and bake for 25-30 minutes. Cool mostly before cutting, because the caramel is molten lava. Oh wow, these bars sound sooooo good! I love salted caramels in any form. Great recipe! Hurray! My family has a big pre-thanksgiving dessert night, since we are always too full after thanksgiving dinner to actually eat dessert. And my daughter had to go gluten free this year so I've been trying to think of a dessert I could take that wouldn't be avoided by everyone but me and her. I think this is it! Thank you!